i had to throw away the remains of my Ambre Rose not too long ago as it stank :( i can't believe it had gone rancid so quickly! some of my MAC lippies are older and smell perfectly fine! i really wanna find phyto but it's hard to find here! Be careful with the LRP Pigment Control (here in Canada it's call Mela-D), it can cause photosensitivity so I would suggest you to wear it at night only. If you wear it during the day, wear a very good sunscreen especially because of the Dubai weather ! Even though, it is a very good treatment to correct pigmentation. The Colossal Kajal can't be found here so it might be a Asia/Middle east exclusivity ! Oh let us know how that la Roche-posay serum works!! The La Roche Posay serum looks good! Kojic acid is good for lightening/brightening, but I think it can cause some sensitivity. This La Roche must be something new, I've never seen it before!With all these crazy acids in ,it must brighten very well,too!I've tried kojac acid in a cream- works well on spots but I advise you use every other day or you may wake up with dry flaky skin one day.Right now I use the Bioderma Serum with glycolic acid and I swear by it.It's my third tube.It says use every other day and I'm trying to remember not to use it too often. 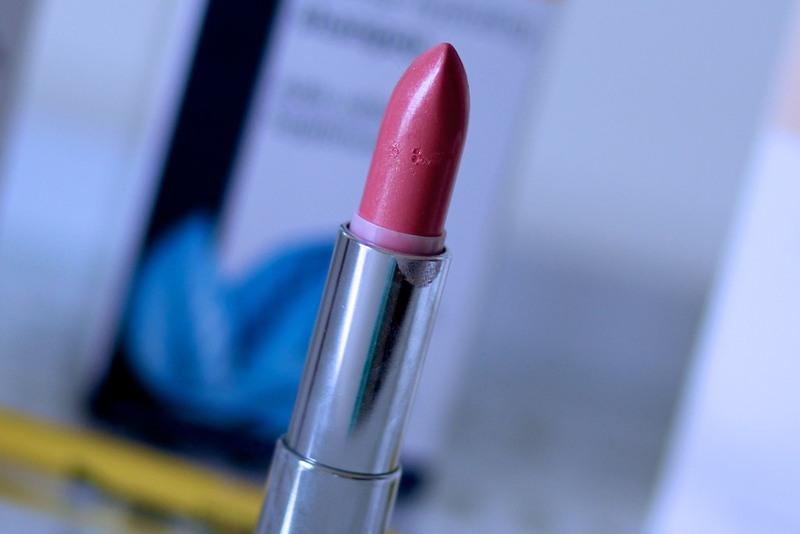 I have recently fallen madly in love with a couple of Maybelline lipsticks and you're right about the smell! It smells like an old lady's favorite lipstick, but some of the colors are so lovely it makes it worthwhile. 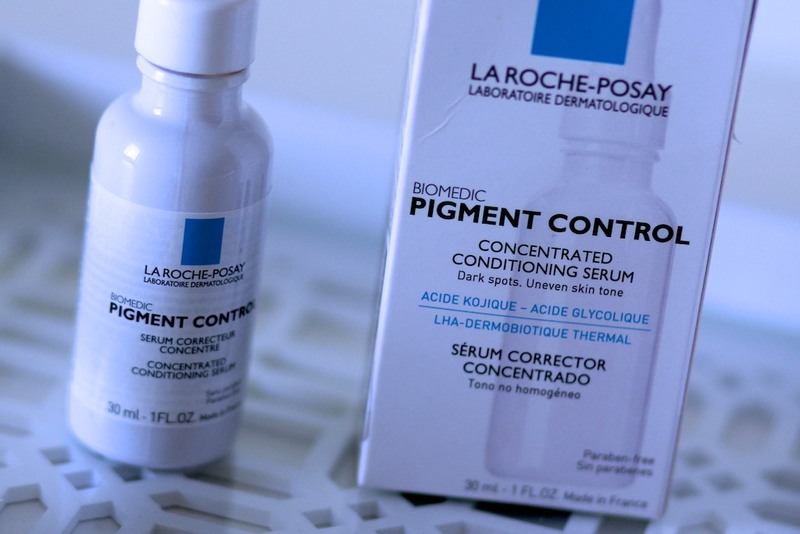 And I have never tried anything from La Roche Posay, but I might have to give this product a try! I hope you're feeling better! 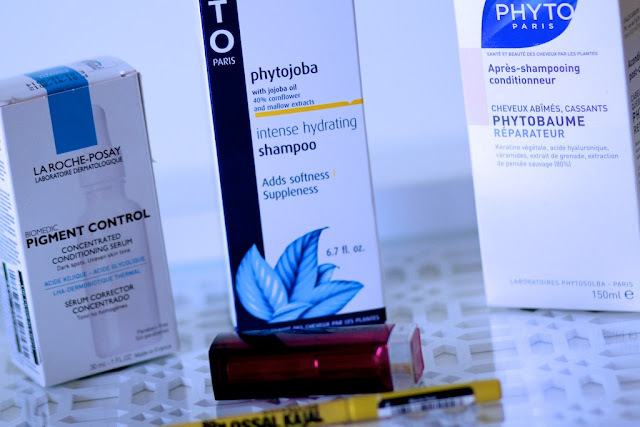 When I saw Phyto and La Roche Posay, I thought for a second that you had gone to France and raided a French pharmacy. Those are the best! - La Roche Posay Toleriane cleanser (I use this with a washcloth to clean my face in the evening, does a great job breaking down the oily makeup). I also recently purchased a couple of Revlon Lip Butters. Those are great - such a pigmented colour but still some hydration. That lipstick looks soo nice! 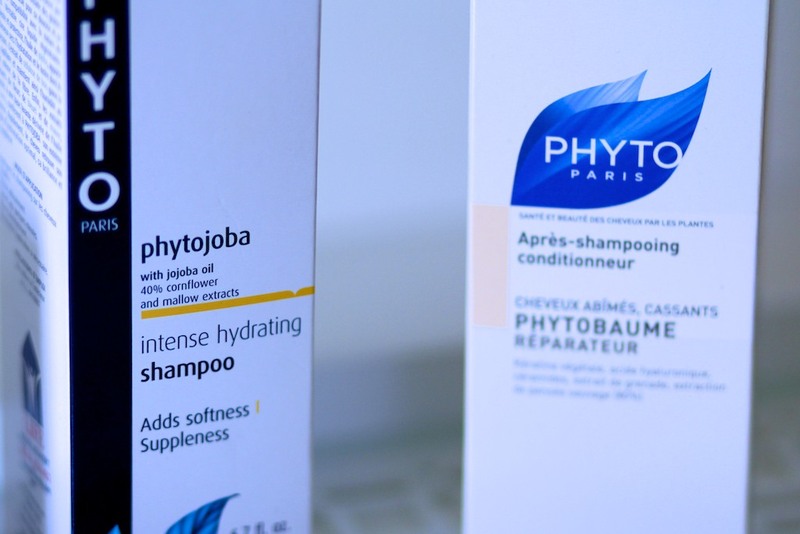 I've been working my way through La Roche Posay products, yet to try this. 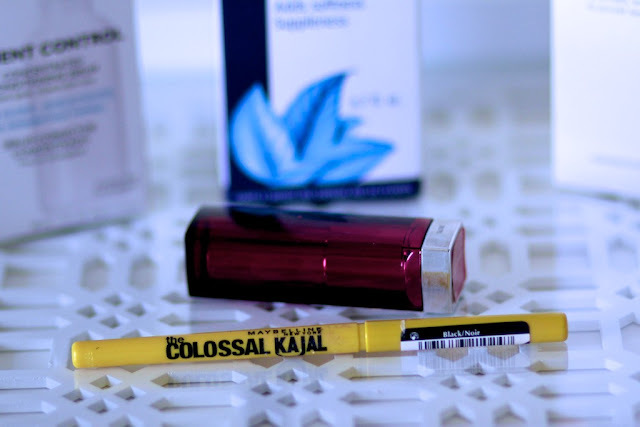 I'm in California and I've never seen the Maybelline The Colossal Kajal. I'm a fan of pharmacy cosmetics too, just bought the Avene Thermal Water-love it! Would love it if you kept us up-to-date on La Roche Posay Biomedic Pigment Control's efficacy! My increasing discolouration necessitates an alarming amount of foundation and I'm trying to treat the problem rather than covering it up! Thank you for doing our shopping! My student wallet is immensely grateful. Love your posts :) however I always end up with a big wish list after reading them. I haven't tried any of these products (I'd like to try the roche la posay) , recently I picked up some Korea skincare products. We miss you on YT, Laura! I haven´t tried any Maybelline lipsticks but would def try them out.